More videos to be added. San Onofre nuclear reactors are permanently shut down. 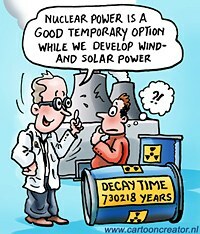 However, we are still at risk for a nuclear disaster from the tons of highly radioactive nuclear waste. This waste sits along our coastline and will remain there for the foreseeable future. In June, environmental activists won a big victory when the troubled San Onofre nuclear plant ceased operations permanently. The current dispute over defective technology between Southern California Edison and Mitsubishi confirms how necessary this outcome was. Much of the waste is a higher radioactive form of spent fuel known as “high burnup fuel,” stored in densities far higher than original design specifications and more unstable than lower burnup fuel. “San Onofre’s use of high burnup fuel puts us at greater risk for a nuclear disaster. The Nuclear Regulatory Commission has not approved a transport method for high burnup fuel and says there is insufficient data to support storing it in dry casks for more than 20 years.” Donna Gilmore, SanOnofreSafety.org. See details at https://sanonofresafety.org/nuclear-waste/. Large uncertainties persist about where the waste will ultimately be stored and for how long. Billions of dollars of taxpayer and ratepayer money will be required to resolve these uncertainties. The issues involved in “decommissioning” San Onofre were secondary during the shutdown debate but now they loom large. The Saturday Community Symposium in San Clemente will include these nationally regarded experts. Dr. Arjun Makhijani, President of the Institute for Energy and Environmental Research — an expert on Hardened On Site Storage of nuclear waste and long-term management of high-level waste. He holds a Ph.D. in engineering (specialization: nuclear fusion) from the University of California at Berkeley. He has produced many studies and articles on nuclear fuel cycle related issues, including weapons production, testing, and nuclear waste, over the past twenty years. He is the principal author of the first study ever done (completed in 1971) on energy conservation potential in the U.S. economy. Most recently, Dr, Makhijani has authored Carbon-Free and Nuclear-Free: A Roadmap for U.S. Energy Policy (IEER Press), the first analysis of a transition to a U.S. economy based completely on renewable energy, without any use of fossil fuels or nuclear power. He is the principal editor of Nuclear Wastelands and the principal author of Mending the Ozone Hole, both published by MIT Press. Dr. Marvin Resnikoff, Senior Associate at Radioactive Waste Management Associates — an international consultant on radioactive waste issues. A nuclear physicist and a graduate of the University of Michigan, Dr. Resnikoff has worked on radioactive issues since his first project at West Valley, New York in 1974. Throughout his career, he has assisted public interest groups and state and local governments across the U.S. in order to identify and create solutions for radioactive waste storage and transportation issues. His recent research focus has been on the risk of transporting and storing radioactive waste and the health impact of radioactive waste from oil and uranium production. He has studied NORM issues for the past 20 years and more recently, NORM in Marcellus shale. Dr. Resnikoff has also co-authored four books on radioactive issues, including Deadly Defense and Danger Below, regarding contamination at DOE facilities. In June 2000, he was appointed by DOE secretary Bill Richardson to a Blue Ribbon Panel on Alternatives to Incineration. Dr. Donald Mosier, member of Department of Immunology, Scripps Research Institute, and Del Mar City Council member — an expert on the public health effects of radiation. He graduated medical school at the University of Chicago, where he obtained his Ph.D. in 1969 and his M.D. with honors in 1971. Following post-doctoral training in London and Boston, Don received a commission in the U.S. Public Health Service and fulfilled his service obligation at the National Institutes of Health in Bethesda, MD. In 1978, he accepted academic positions at The Institute for Cancer Research and the University of Pennsylvania in Philadelphia. In 1985, became the Division Head at The Medical Biology Institute in La Jolla. In 1992, Don moved to the Department of Immunology at The Scripps Research Institute, where he is a Professor. The immediate goal of the symposium is to assure that “best practices” are applied to make the decommissioning of San Onofre as safe as possible and minimize both short and long-term risk to Southern California residents. The ultimate goal of the symposium is to rejuvenate the national dialog about how the U.S. manages nuclear waste, including the safest on-site and remote storage options. Co-sponsors of the symposium include the Sierra Club Angeles Chapter and the Coalition to Decommission San Onofre. The Coalition includes the Peace Resource Center of San Diego, San Clemente Green, Women Occupy San Diego, Citizens Oversight Project, SanOnofreSafety.org, and Residents Organized for a Safe Environment (ROSE). This entry was posted in Action Alert, Events, NRC, nuclear power, Nuclear Waste, SDG&E, Southern California Edison, Video and tagged Arjun Makhijani, California, Coalition to Decommission San Onofre, decommission, DOE, Dr. Donald Mosier, Edison, high burnup, Marvin Resnikoff, NRC, nuclear, nuclear waste, san clemente, san onofre, SDG&E. Bookmark the permalink.